Richmond Co. S. O. Augusta, Ga.
Corporal Groves, may our good Lord immerse you and those you have left behind in His Divine Mercy. May He grant you peace, where there is no more pain, no more tears, only eternal bliss and heavenly joy. Rest in peace, good and faithful servant. Rest In Peace. We will take the watch from here. Thank you for your service sacrifice. Rest in Peace. Rest in Peace my Brother. Prayers sent! Rest in peace Corporal Groves. Prayers for you, your family, and all your brothers in Blue. The thoughts, hearts and prayers of everyone here at CCPD go out to the families, both blood and blue, of Corporal Groves. May the Good Lord give you strength, comfort and peace. RIP, Corporal Groves. Praying for you and your loved ones. Rest easy Brother, Thank you for your service. May your sacrifice and memory never fade. Rest in peace Trooper Groves. I worked with Dan for a short time. Great trooper and an even better man. He will be missed. Rest in peace Trooper. Thank you for your service. God's speed sir. I am a retired police officer from Wisconsin who had lived for 5 brief years in Allenspark , Colorado and then moved back to Wisconsin. My sincere sympathy to your family and fellow troopers. MAY YOU REST IN PEACE ! As I watched the news on the snow storm yesterday your picture was flashed on the screen. And my heart broke. You were out in that storm engaged in serving and protecting along the blizzard covered roads roads and your life was taken as you were hit and killed by another vehicle. There are no words sufficient. My humble thanks for your service and your ultimate price in the act of serving and protecting the rest of us. My heart and prayers go out to you, your family, your fellow Officers, and the Colorado Community with your tragic loss. Thank you for your service and rest in peace Trooper Groves. 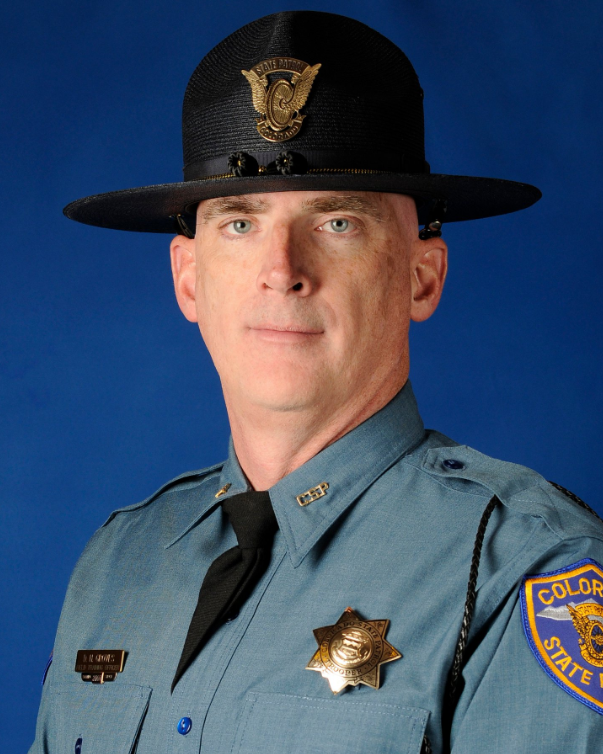 My prayers for the Groves family and the Colorado State Patrol. All give some, some give all. Rest in Peace, Trooper. Rest In Peace Brother in Blue. Thank you for your sacrifice and service. Thoughts and prayers for your family, friends and coworkers. Thank you for your service. I pray that God welcomes you with open arms. My respect Sir. Rest in peace Corporal Groves!